When you think of Mother Nature, graceful, rounded forms come to mind. She is, of course, the origin or mother to Mandalas. Curves, arcs, coils, circles, and spirals are expressed as buds, tendrils, seeds, bubbles, flowers, nests and so much more. From the cycles of the days and seasons to the physical details of plants and animals, from the microcosm of a cell to the macrocosm of the solar system, it is all variations on a single circular theme, beautiful in all its variety. In our workshops we will explore this natural organizing principle more deeply, even to the mechanics of natural movement. Although the word Mandala is used in an almost generic way today to describe circular designs, the word itself comes to us from the ancient Hindu language of Sanskrit. Its meaning, literally, is “container of sacred essence”. As you study Mandalas more and more, you will come to realize the truth of this definition! It is particularly apt when you consider the sacred architecture of the stupa (temple). The history of the Mandala is very rich. Besides India, many countries and cultures around the world have produced Mandalas. All have spiritual and healing functions as well as symbolism. Here are just a few of them. The most notable and best-loved feature of the Celtic designs is, of course, the amazing quality of line. Usually one unbroken line twirls and spirals into a multitude of patterns and figures. The repeated crossing of the line, over itself, was believed to increase protection and ward off evil. Perhaps it was hoped that evil would lose its way in the maze of loops! In a Celtic design called the “love knot”, the continuous flow of a single line symbolizes the path of true love, briefly wandering here and there for a while, but always returning home to the beginning. Other Mandala designs, such as those on tombstones or Celtic crosses symbolize the continuity of the cycles of life and the connectedness of all living things. masculine. 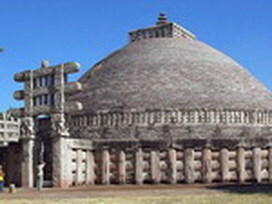 Temples, with their concentric walls and holy center, are also Mandalas. contemplation such as the example you see here. 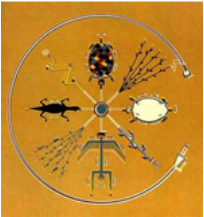 why of these native Mandalas produced by medicine men and women. represents to the monks who make them. broader definition and a freer application of the Mandala than existed originally. found elsewhere around the world.